A fascinating study of the imagery and symbolism of firefighters, and a timely reminder of the calm bravery and extraordinary humanity of the men and women of the fire service. Firefighters in Art and Media is a history of visual representations of firefighters from 1600 to the present day. It contains over 200 images, arranged in chronological order, accompanied by commentaries on the artists and their work – paintings, woodcuts, magazine illustrations, film stills, photographs, sculpture, cigarette cards, posters, children’s books, postcards, toys, cartoons and monuments, mainly from Britain and the United States. 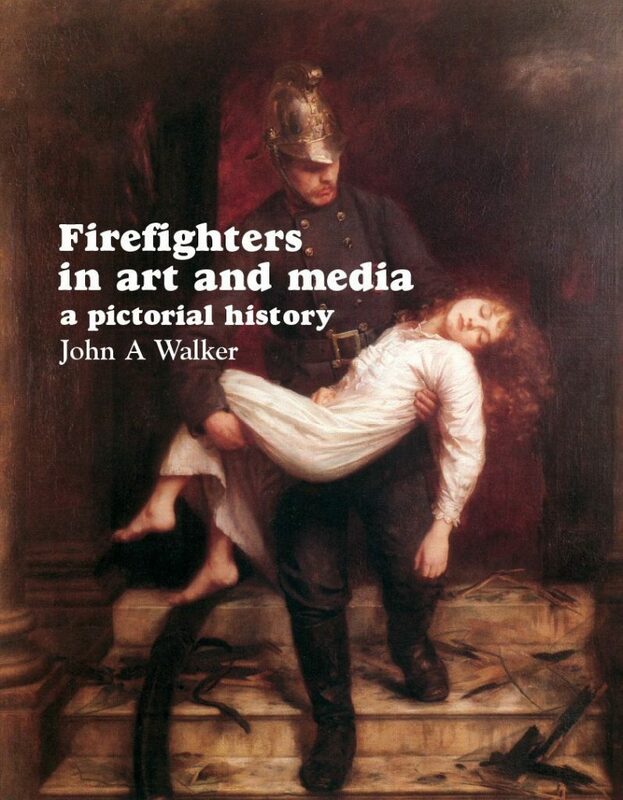 But John A. Walker’s book is more than an art historical survey; by including work normally overlooked by art historians – memorials and fictional representations, depictions of the humour as well as the heroism of the profession – Walker reflects the widespread affection the public holds for firefighters, who risk their lives in the service of others. John A. Walker, art critic and art historian, trained as a painter at Newcastle upon Tyne. Until his retirement in 1999 he was Reader in Art & Design History at Middlesex University. He is the author of more than fifteen books, mostly concerned with the relationship between fine art and the mass media; they include Art in the Age of Mass Media, Design History and the History of Design, Art and Outrage, Art and Celebrity and a study of the British artist John Latham. Giving the Past a Future attempts to explain why criminal justice history needs to be preserved and gives case studies of successful projects to preserve old police and prison documents.